At the Schoolhouse, nutrition and taking care of our bodies is very important. We carefully choose what is offered in our optional hot lunch program as well as monitor their decisions when it comes to snacks. Our kitchen strives to have the highest quality ingredients, including organic meats, fruits and vegetables when possible. We offer many choices daily so children and staff who have dietary restrictions, or are vegetarians, have plenty of options. 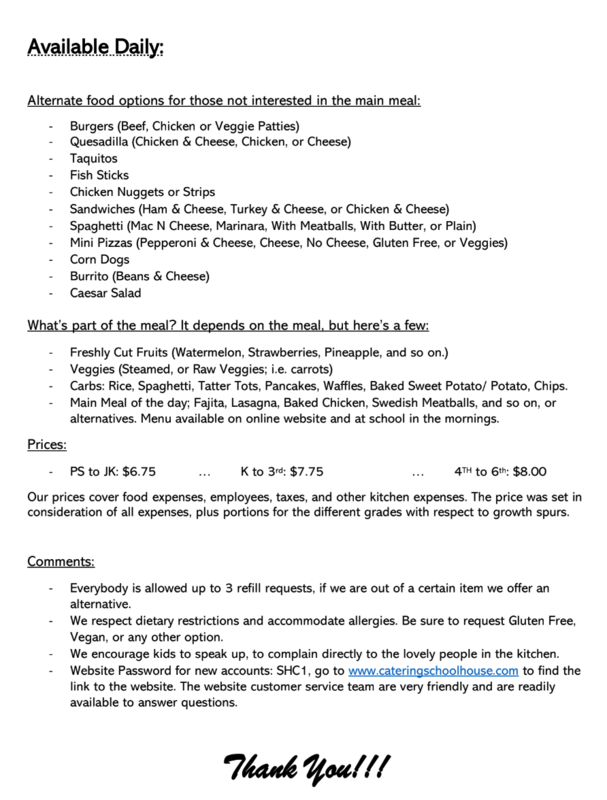 To order lunch online, or view the menu, visit Schoolhouse Catering online. Welcome to a new school year!! We are Schoolhouse Catering, the catering team for your kids; Chef Samir (BA in Culinary Arts), Sous-chef/Manager Nada, Cook/Cashier Vicki, Cook Maylena, Cook/Dishwasher Judith, and we have additional team members for our bigger events; birthdays, religious celebrations, graduation and whatnot. We offer organic products and accommodate all dietary requests, and in our monthly menus we offer a strictly Vegan Menu, and a Regular Menu encompassing several different meat options. To help kick off this new year, we wanted to inform all parents of our online ordering system Boonli which is easiest to access by going to : www.cateringschoolhouse.com and clicking the link to creating your new account. For first time users you would need the access code SHC1, and if you have any further questions the Boonli website have great customer service by chatting online or calling them. – Quick Pick on Boonli : on how to use the Quick Pick option. – Available Daily : a brief overview of items available. 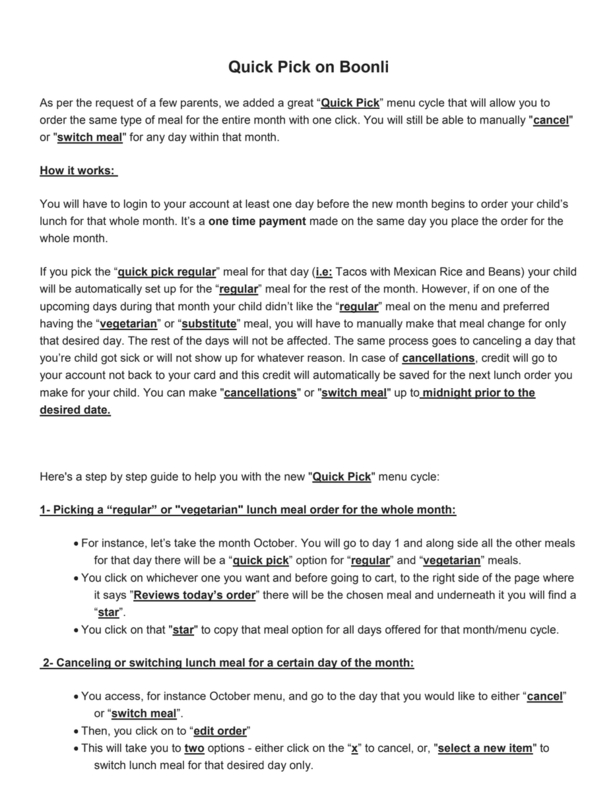 We do hope this feature saves you precious time and gives you more flexibility in placing your lunch orders. Do not hesitate to contact us for any further questions or concerns of your own. We’re here to assist you and keep things simple for you.